Also GPS units, Laptops, Satellite phones, Radios and more! SSL Certificate Email us at sales@Tech-Go.com if you want us to invoice you using Paypal! Instructions Complete On-line Order Form Below and submit (You can also print and fax). We will process securely for shipment. Address must match where credit card statement is mailed and we verify phone number. Orders over $200 require faxed form with copy of id for verification. We also require copy of ID or front and back of card if credit card is not issued by USA / Canada bank (this is because we cannot verify shipping address). Enter this field if you were referred by an agent or received a promotion code. Shipping Notes: Fedex provides the following guarantee or you will receive a credit for the shipping cost via Fedex (excluding weather delays): Next Business Day service will be received by 10:30 am in cities (later in rural areas) - (not available in all areas). Second Business Day service will be received by 7:30 pm. Business days are Monday - Friday. Orders placed Monday through Friday must be received by 3:00 pm EST for same day processing. Orders received after 3:00 pm EST may be processed same-day but could incur $15 late-shipping Fedex surcharge (usually after 6 pm EST). All shipping/handling charges are for a single unit, but multiple cards may be sent for no additional shipping charge. Purchase Maps Garmin Europe NT 2016 on SD and MICRO SD GPS (010-10680-50). Supports C series, Nuvi, etc. $109 regular price. Sales price $89 today special (retail $129). Automatic Reduced Price of $84 if you buy with GPS on this form. 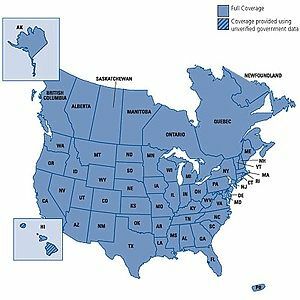 Purchase Maps 2016 USA North America NT on PLUG & PLAY SD and MICRO SD GPS (010-10679-50). Supports C series, Nuvi, etc. Sales price $54 (retail $89). Purchase Maps 2016 New Zealand NT on PLUG & PLAY SD and MICRO SD GPS. Supports C series, Nuvi, etc. North Island-Auckland, Hamilton, Wellington. South Island Christchurch, Dunedin, Stewart Island. Sales price $59 (retail $109). Purchase US Topo Maps (100K) NT on PLUG & PLAY SD and MICRO SD GPS. Supports C series, Nuvi, etc. Sales price $54 (retail $79). 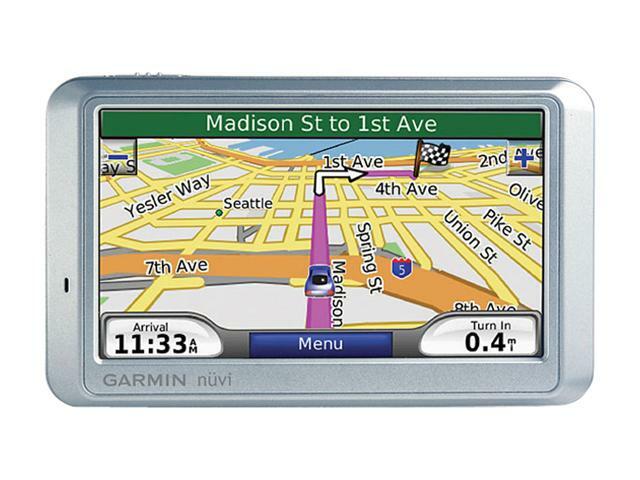 Purchase GPS Nuvi 205W 3.5 with 2016 USA / CANADA Maps and points of interest on sale for $129. 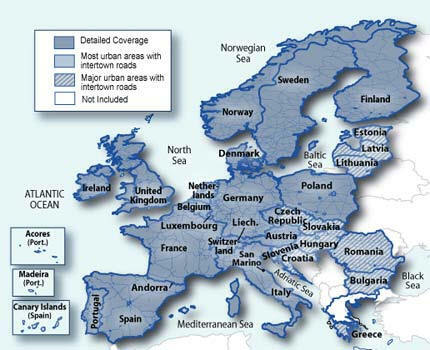 Select/Add Europe Maps (1st item above) and automatically receive discounted price $79. 1 year Mfg warranty. Purchase GPS Nuvi 265w 4.3 wide Text to Speech (TTS) with 2016 North America (inc Canada) Maps and points of interest on sale for $164. Select/Add Europe Maps (1st item above) for only $79. 1 year Mfg warranty. Purchase GPS Nuvi 750w 4.3 wide Text to Speech (TTS) with 2016 North America (inc Canada). Also includes Multi-Destination Routing (load address and allow unit to prepare route). Built-in FM transmitter. Includes points of interest on sale for $179. Select/Add Europe Maps (1st item above) for only $79. 1 year Mfg warranty. Purchase USB CABLE which allows Free Garmin firmware updates and transfer mps files to your unit on sale for $9.